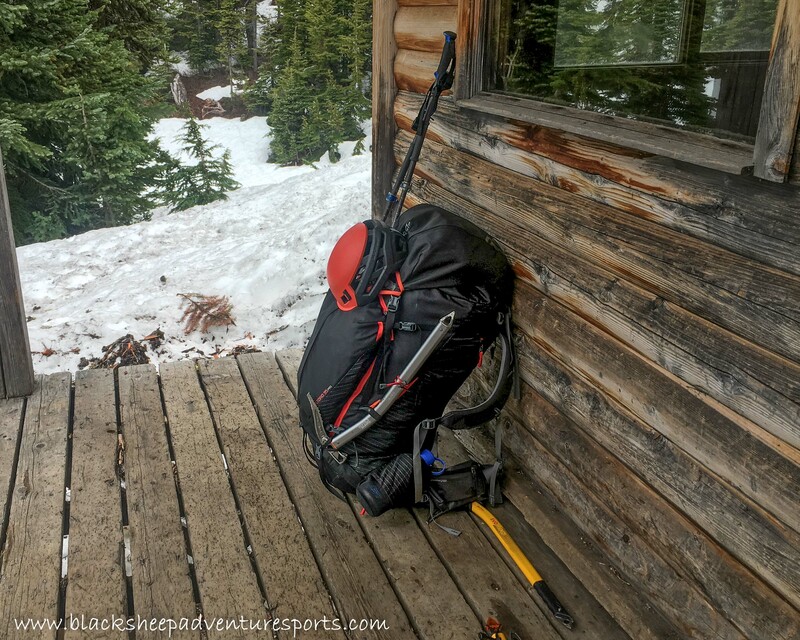 Yes the Baltoro Pro is a massive 95L backpack, a serious gear hauler! But if you’re going to buckle down and suffer packing all that crap around you might as well take a comfortable pack! In truth it wasn’t that many years ago that I got rid of all my larger packs and vowed that if I couldn’t do the trip with a 55L bag I wasn’t interested. Now, after dozens of trips where I’ve skimped on food, clothing and campsite luxuries just to make everything fit in a small pack I’ve decided it’s time to suffer more on the approach and less at camp. 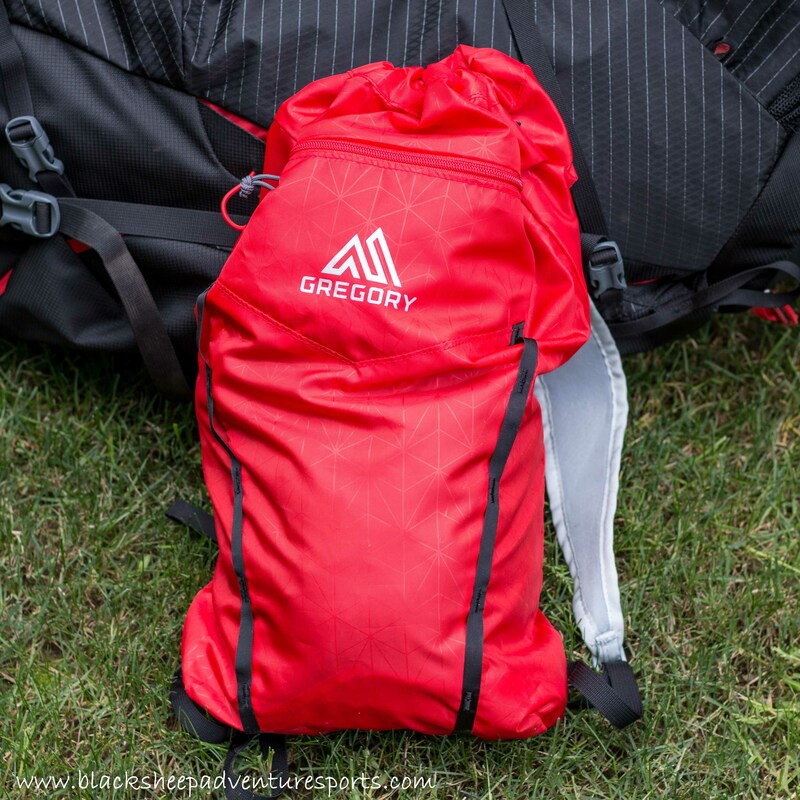 In other words, I’ve gone back to big packs and so have been testing a few out including the newest addition to Gregory’s Baltoro line: the Baltoro 95 Pro. 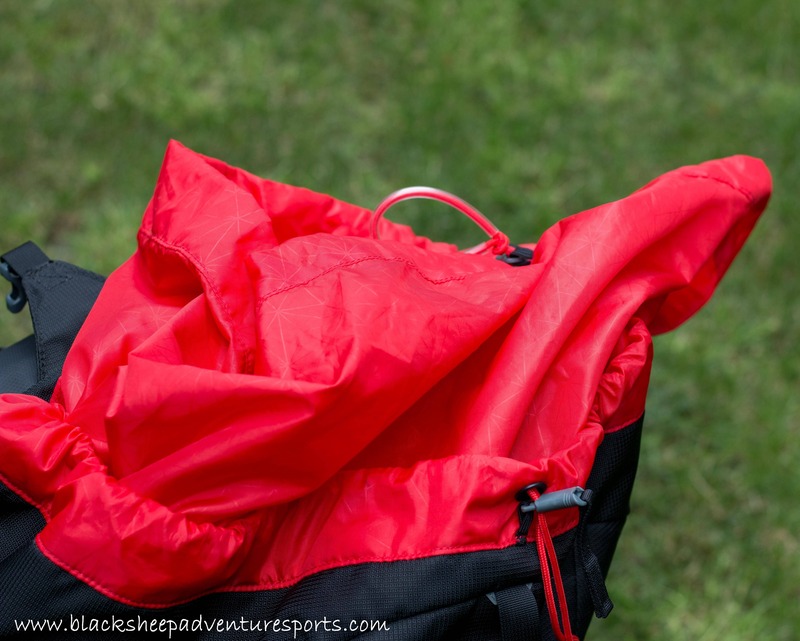 Cavernous and designed to carry loads up to 75 Lbs this comfortable pack is well featured and organized. 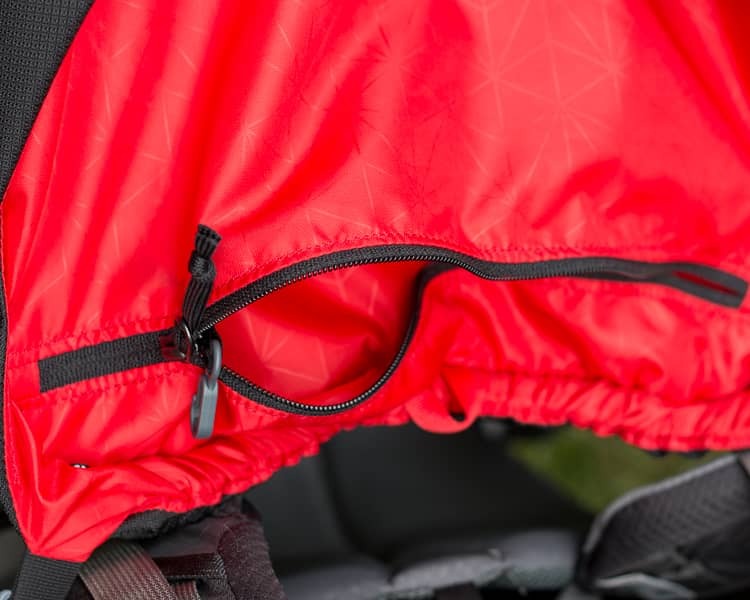 While it’s slightly heavier than some other packs in the same size category it’s also built to last with durable fabrics and zippers and a robust suspension system. Ideal for: As it can carry heavy loads comfortably and securely this pack is perfect for long treks, portering, hauling gear and or cameras into remote crags or any trip that requires hauling large and heavy loads. It would also serve traveling backpackers very well. If you need something a little more technical the Denali might be the ticket. 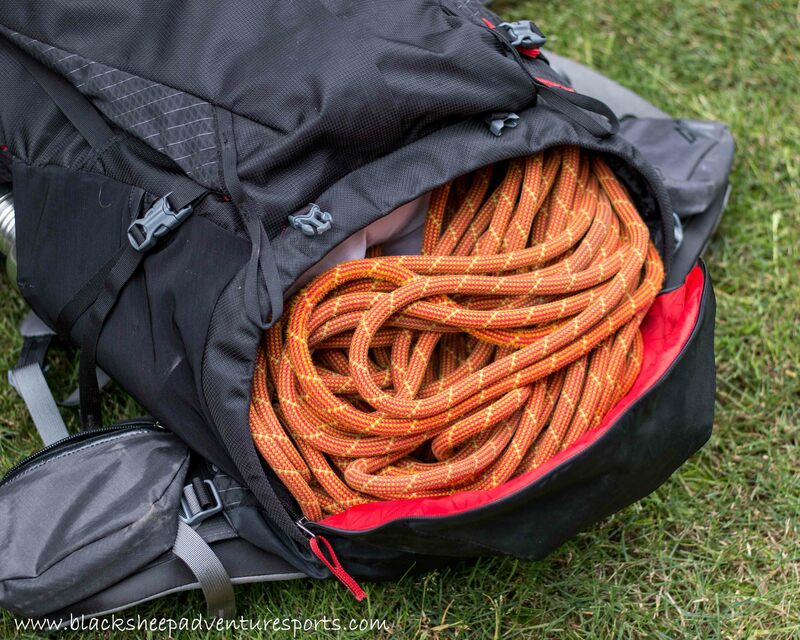 Now I’ve only had the Baltoro 95 Pro for a couple of months now and took it out on three different trips. Due to this short review period I can’t comment much on durability as it’s going to take a lot more sweaty days to get this pack to show any signs of wear. However, I got more than enough miles on the trail to get a really good feel for how it performs. 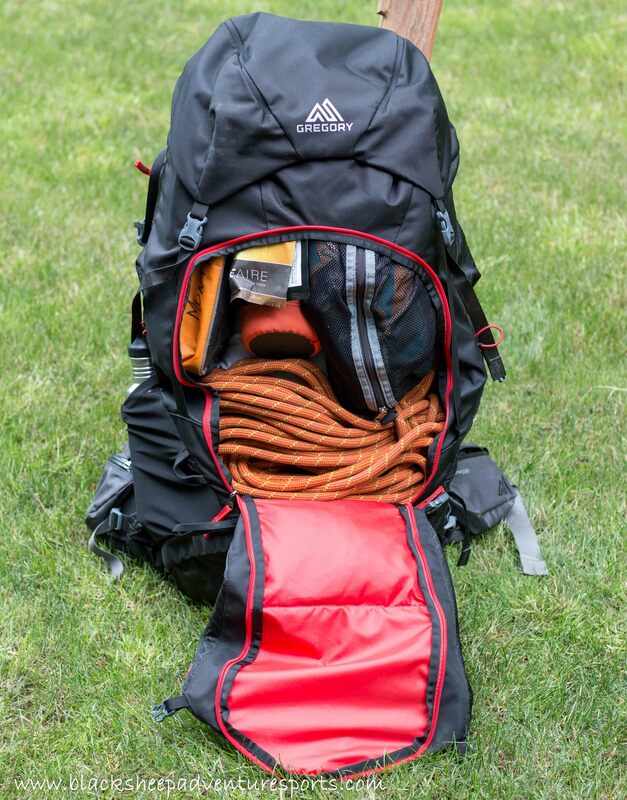 As you can expect, the Baltoro 95 is well adorned with compartments and other organizational features and I’m going to try to cover them all. Two independent compartments on the top. Security pocket on the underside. One of the two compartments in the top of the lid. Large security pocket found under the lid. A small removable flap separates the “sleeping bag” compartment from the main compartment. Day pack / hydration sleeve from the interior of the main pack. Featured enough to be functional but not overdone. So what’s missing? The only additional item I could have used is a helmet bra. Kangaroo pocket with rain cover stowed inside a sub-compartment. Stowable water bottle pocket. It will fit a 1L Nalgene but it’s hard to get it into the pocket without taking the pack off. 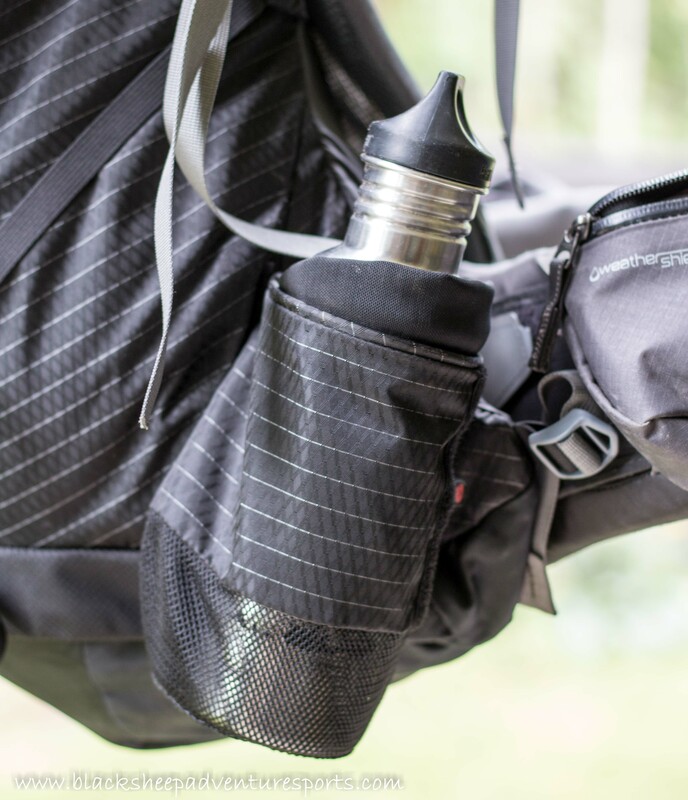 Mesh side pocket opposite the water bottle pocket. There is one of these hip belt pockets on both side, great for a camera, iPod, snacks but a little tight for larger cell phones. My iPhone 6s just fits. I really like the large access points provided on the Baltoro 95, a requirement on such a large pack really. The main access is of course the large top opening, as with any top-loading backpack. It features the standard draw-cord closures as well as a compression strap to help jam it all in. 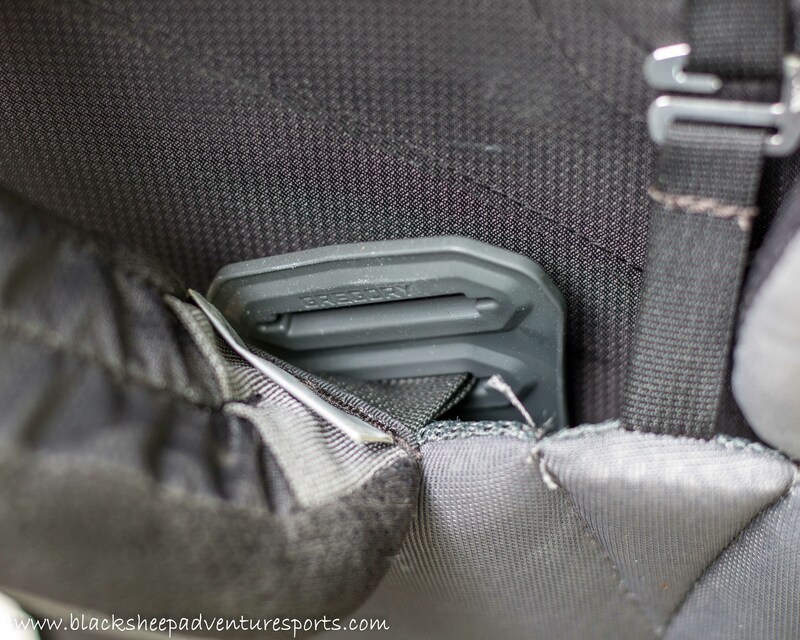 The next access point is located at the kangaroo pocket on the back. A large horseshoe shaped zipper follows around the outside edge of the pocket and allows access to the interior of the main compartment. The only thing I didn’t like about this access is that I would inadvertently open it at times when all I really wanted to do was access inside of the kangaroo pocket, at least when I first started using it. 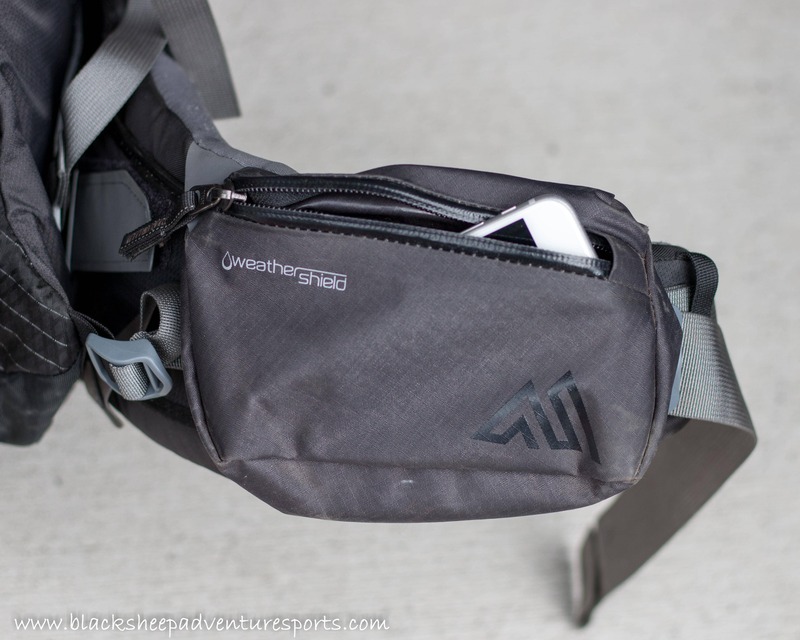 The last access is at the bottom of the pack and opens into the sleeping bag compartment. As the divider between the main and sleeping bag compartments is removable, and not all that useful in my opinion, it basically provides access to the bottom of the main compartment. The top access with it’s dual draw cords. 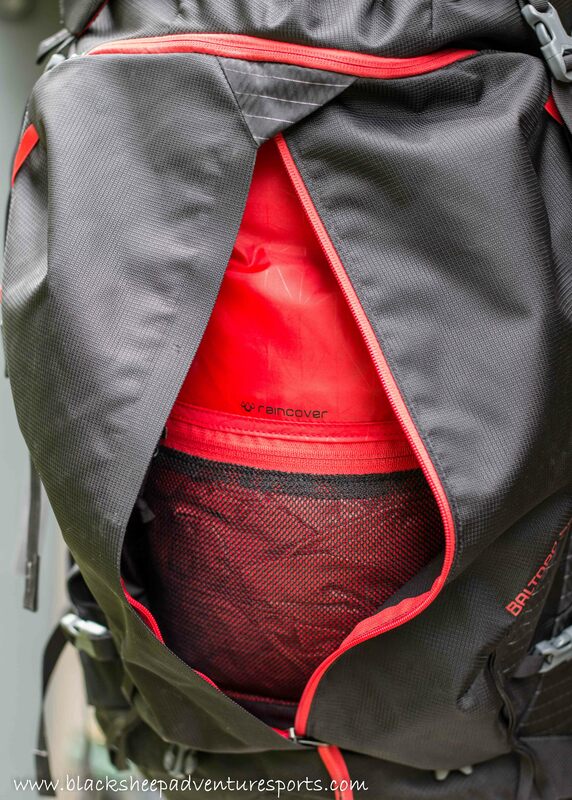 The rear access is opened using a horseshoe shaped zipper around the kangaroo pocket. The bottom access into the sleeping bag compartment (I removed the divider between the sleeping bag and main compartments. Unlike its smaller siblings, the Baltoro 65, 75 & 85, the Baltoro Pro 95 utilizes the upgraded Response Pro chassis and suspension system, likely where the Pro in the pack name came from. 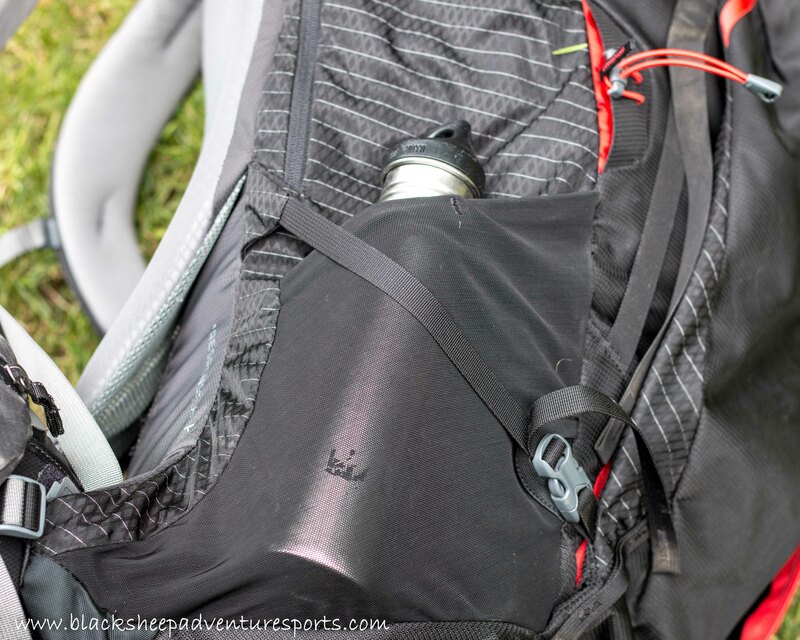 This upgrade allows for the heavier loads the pack is designed to handle. It features a fixed link between the hip belt and back panel, larger diameter aluminum tubing in the wishbone frame and an upgraded non-pivoting Response Pro 3D AIR hip belt and a full length internal frame sheet. The Baltoro Pro 95 comes in the standard 3 sizes (S, M & L) and each size can be adjusted at the shoulders by one increment. I was a bit surprised that there wasn’t more adjustability in the suspension system but all it really means is that it’s important to get the pack sized properly before purchase. Lumbar adjustment comes in the form of a small pad that can be installed or removed from a pouch between the frame and padded back panel. I personally found it more comfortable without this extra pad. The shoulder straps and the hip belt are heavily padded with multi-density EVA foam and of course have all the standard adjustments. This padding makes them quite comfortable even under heavy loads. 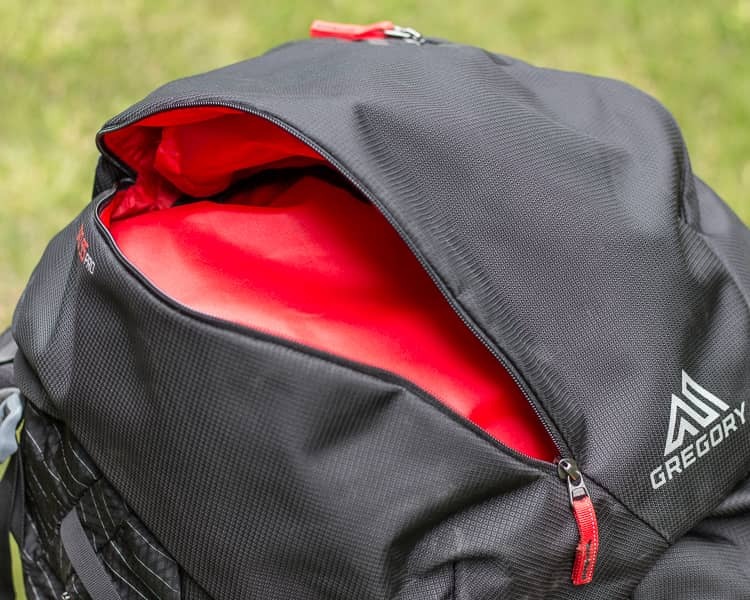 In general I found that the Response Pro chassis made this very large pack carry comfortably and securely. It moved with me over technical trail sections so I wasn’t worried bending over and grabbing chains or bushes, leaning over on steep steps, etc. The shoulder strap height adjustment, note the two height settings. 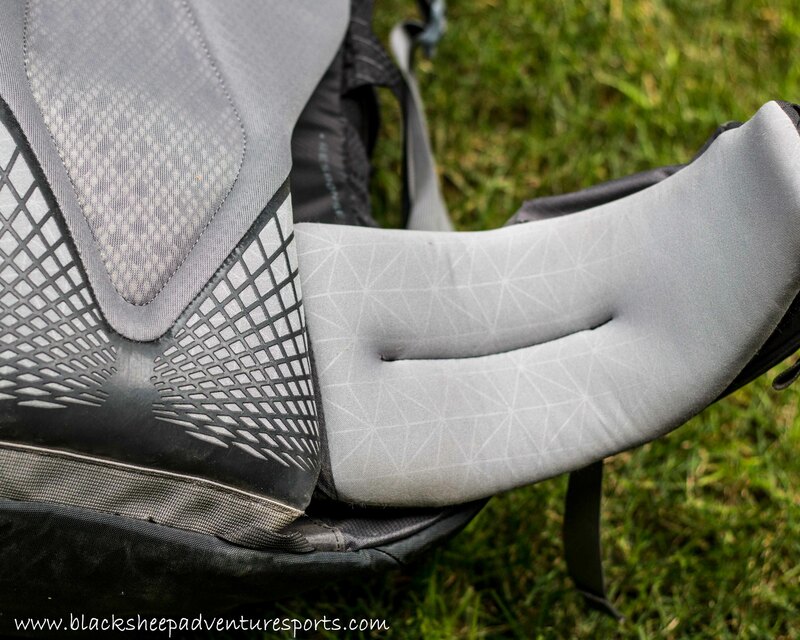 The heavily padded and very comfortable hip belt and back pad. The Baltoro 95 Pro was first tested in the Coast Mountain range of BC on two 7-day mountaineering trips in a variety of weather conditions (very hot to getting snowed on). 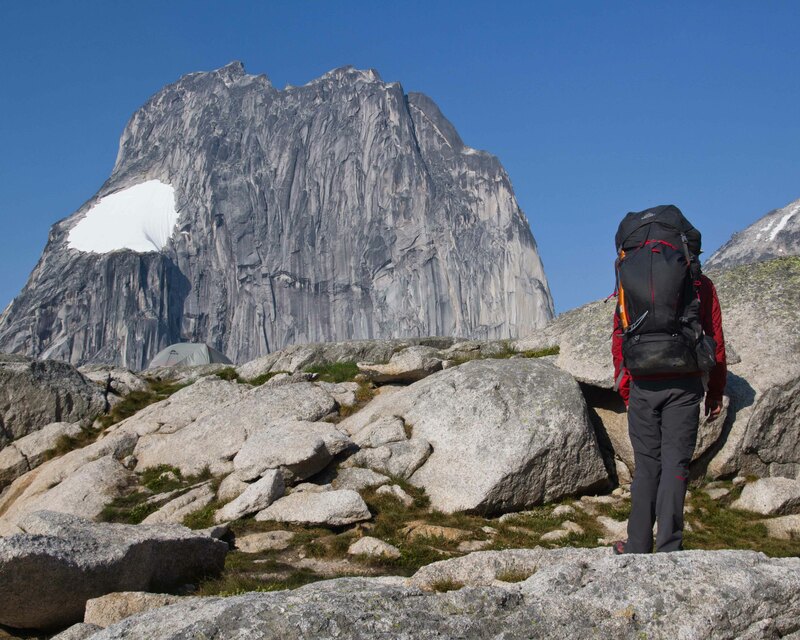 I then took it into the Bugaboos area of BC on a rock climbing trip stuffed with ropes, climbing gear and food. Testing on the Baltoro pro in the Coast Mountains, stopped by this hut on the by for a break. A review sample was provided for testing but of course this did not influence my review in any way. Bugaboos photo was taken by Bonsta.